Alex Klatskin knows it as well as anyone — assembling 3 million square feet of industrial space has always been an impressive feat in New Jersey. Exactly how you achieve that goal has changed over the years. 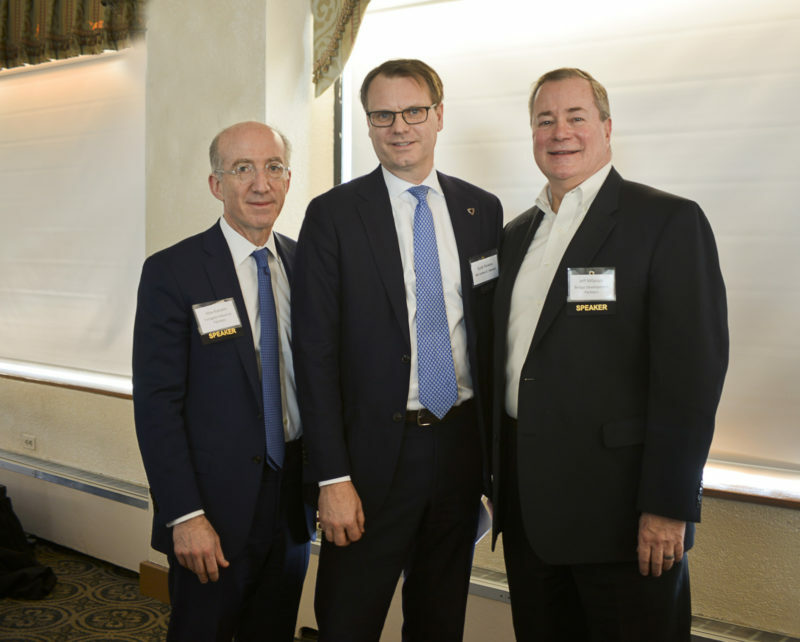 “Those of us that have been here for a long time have never seen projects that size that weren’t made of cornfields,” Klatskin, a general partner with Forsgate Industrial Partners, told a room full of brokers and industry executives last week. Speaking during a program hosted by the Society of Industrial and Office Realtors, or SIOR, Klatskin provided an up-close look at the high-profile, 3 million-square-foot Kingsland project in Lyndhurst, North Arlington and Rutherford. The firm is partnering with Russo Development to transform the ex-landfill site, seeking to tap into a location at the nexus of Route 3 and the New Jersey Turnpike and five miles from the Lincoln Tunnel. Currently owned by the New Jersey Sports & Exposition Authority, the nearly 750-acre tract was once slated for the now-infamous EnCap project, a proposed golf and housing complex that collapsed in 2008 under a prior developer. Forsgate and Russo could close on the property as soon as May, Klatskin said, noting that the massive site still requires additional steps such as capping and dynamic compaction. The joint venture could go vertical in 2021, he said. Klatksin said the site, which is just south of Route 3 and across from the Meadowlands Sports Complex, could support up to six buildings over three phases, with the largest being more than 900,000 square feet. The others would range between roughly 150,000 and close to 800,000 square feet. The Teterboro-based developer also said the site was fortunate to have never been used for manufacturing or industrial purposes, although only about 250 acres are buildable. The remaining space could become home to solar fields or landscaping, he said. Klatksin also pointed to one other key advantage. The Kingsland proposal was one of two New Jersey megaprojects that were on display at the Jan. 31 event in West Orange, as Klatksin spoke alongside Jeff Milanaik of Bridge Development Partners. Milanaik, who leads Bridge’s Northeast region, detailed the firm’s plans for a long-awaited, 3.8 million-square-foot redevelopment that is now underway at a sprawling former Ingersoll-Rand complex in Phillipsburg and Lopatcong. As both executives noted, carrying out such a project is rife with challenges, but worthwhile in submarkets that are coveted by big-box and so-called last-mile users. “If you’re looking for million-foot buildings, there’s not a whole lot out there in an extremely land-constrained marketplace,” said Milanaik, whose firm recently broke ground on about 2 million square feet of speculative space at the site. At full build-out, the 381-acre property is expected to have seven modern warehouse and logistics buildings, including two that will each be around 1 million square feet. Getting there has not been and will not be easy, Milanaik said, pointing to a host of challenges and hazards at the former manufacturing complex. Those include dozens of sinkholes that have opened during development and a legacy of contamination from its former user. But the so-called Bridgepoint 78, which is adjacent to Route 22, offers all the benefits of the Lehigh Valley submarket and thus still provides an attractive investment opportunity. Especially in an area that is short on supply of modern big-box facilities. He added that the New Jersey Turnpike’s Exit 8A submarket and the Lehigh Valley “track amazingly” in recent years, with both showing strong absorption and similar rental rates. And at the Bridge site, the project is drawing added attention because it offers different size options. “It really has a lot of different activity levels going on,” Milanaik said.